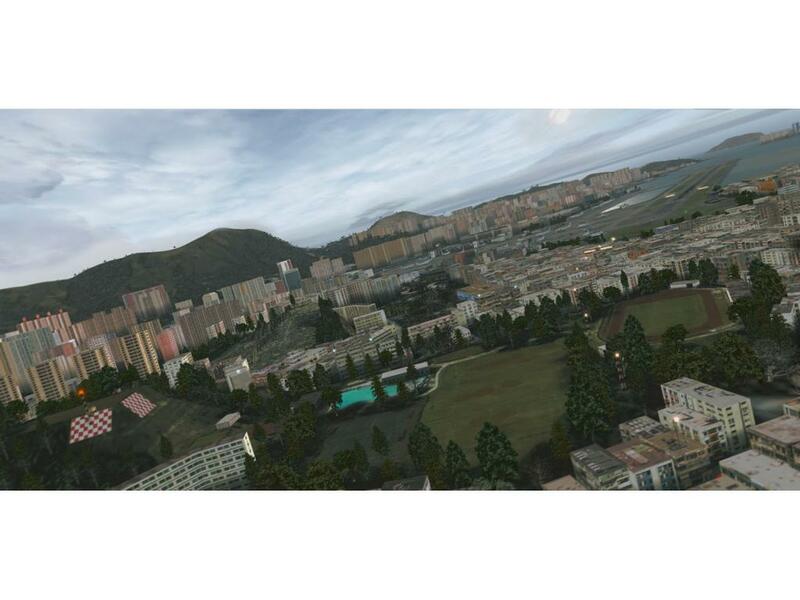 Hong Kong city scenery consisting of mesh, landclass, photoground and Thousands of custom buildings. 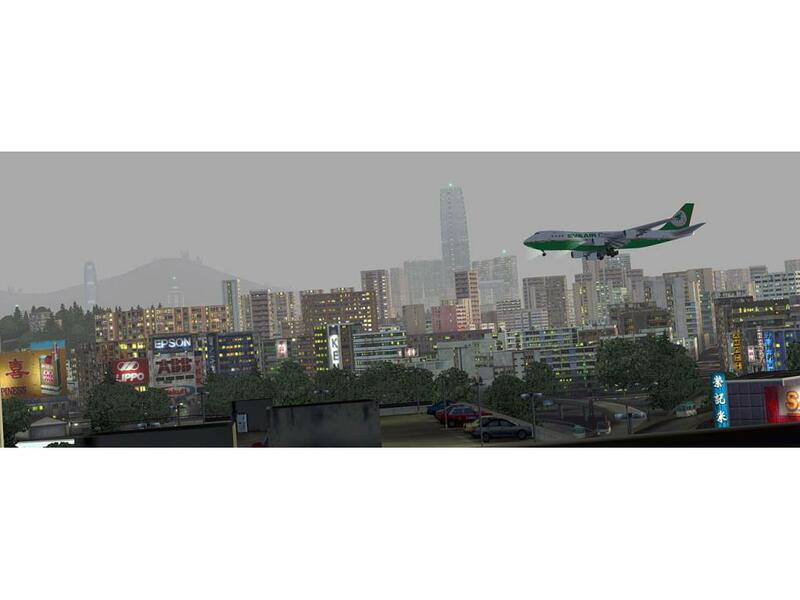 Kai-Tak International (VHHX, closed 1998) airport scenery. Highly detailed curved Checkerboard approach. 2 Heliports (Peninsula Hotel rooftop, Shun-Tak Ferry heliport). Animated AI-Ships including Hong Kong's Starferry, junkers, barges etc. 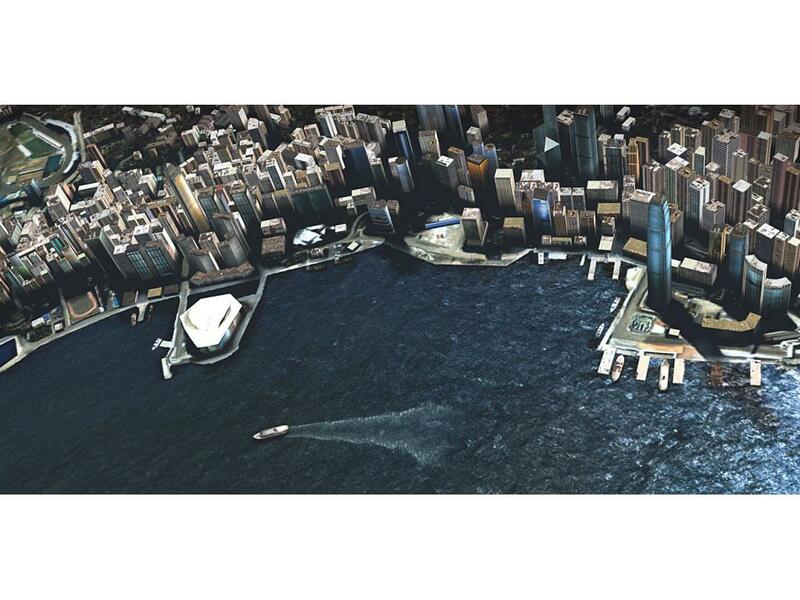 Custom animated car traffic & FSX-traffic throughout the city. 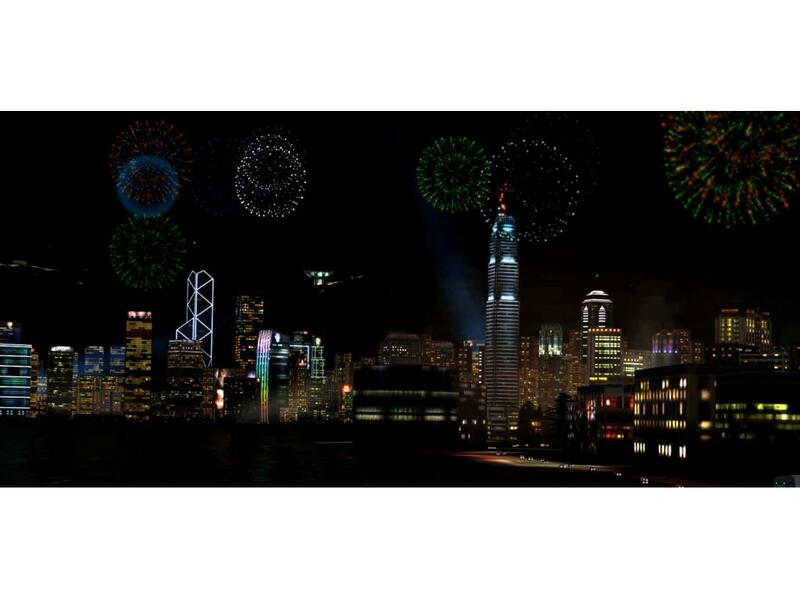 Unique night effects like animated Lightbeams, haze-glow and Fireworks display. A really immersive cityscape and airport scenery that outclassed many at the outset and rivals many to this day! Notwithstanding, it looks and performs impeccably even on slower systems; even with less detailed settings. A great purchase on the whole and makes for many scenic and enjoyable flights in and out of Hong Kong! Eita cenário Lindo e Nostálgico, uma lenda mesmo. Para ficar perfeito, só faltou a iluminação a noite mais real com os postes de luzes. Mas Kai-Tak é Kai-Tak, será sempre lindo, de dia ou a noite. Outstanding update. Beautiful lighting and excellent frame rate. Cant recommend it highly enough.. Excellent scenery ! I enjoy single flight to/from there. Absolutely!!! I was at first weary about spending the money, as I was new to this airport. But when I got it, I knew I had made the right choice. This includes very helpful charts along with an outstanding amount of ground textures and building textures. You'll be amazed every time you see a highly detailed texture or building. Another wonder is that there is little frame rate drop. If you know you can run this, go for it! 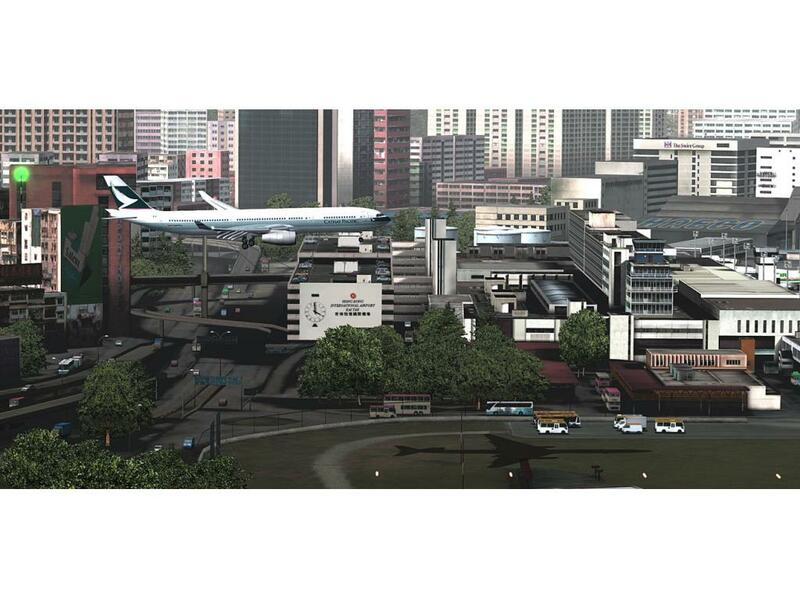 Not only did Fly Tampa give scenery for Kai Tak airport, but they also did a scenery pack for the city too. 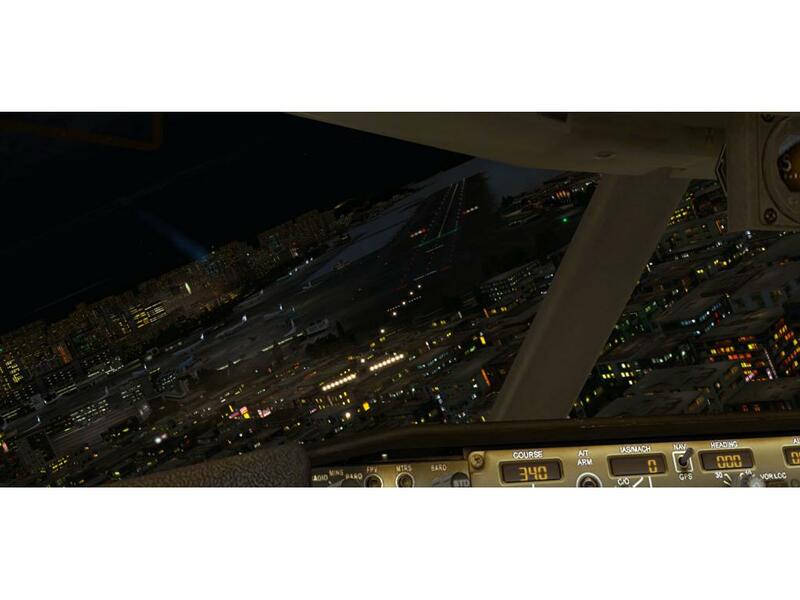 It is highly detailed and recreates the IGS runway 13 approach. It can be FPS heavy, but it is one of the best Fly Tampa sceneries. This is a must have! that item is pure beauty. Definitively THE BEST ADDON SCENERY for flight simulator. Very detailed, framerates friendly, it's a pure masterpiece of the simulation, an indeed MUST BUY. Like other comments before me, there's not much to say..! I mean, everybody know this airport, everybody know what a special work FlyTampa did with this Flight Simulator Add-on. It's just great, Hong Kong made very well, with an incredible attention to details, with a unique feeling! There's not much to be said about this one; these words will sum it all up: Awesome, FAST (for the detail inside), fantastic views at dawn/dusk, a lot of value for the money. FlyTampa did it again! I installed it on my 3-year old laptop with a 256 MB graphics card with all scenery sliders maxed out and with FS2004 it ran like a song. Great, outstanding, highly recommended. I agree with the reviews here. The HK scenery including Kai Tak is amazing and brings back memories of my visit there in 1999 - although we landed at Chek Lap kok then. Fly tampa manages what the rest don't - smooth performance in very detail intensive scenery. I look forward to start my 747 landings there. So far I only landed the spitfire, the twin otter and the EC135. 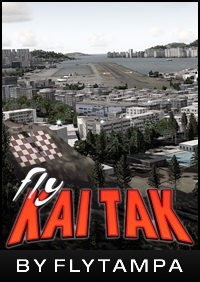 So for all of you FS simmers - Flytampa has re-opened Kai Tak. You are cleared to land!!! Flytampa has outdone themselfes with this masterpiece ... again. While individual parts have been done better in other addons (ground textures in the city expecially or airport details like custom moving jetways etc) the sumn of all parts make this a gem. The city is so packed with houses you finally get the feeling of a real city and the night lighting is just wonderful. And the fps hit it takes it not that big at all. 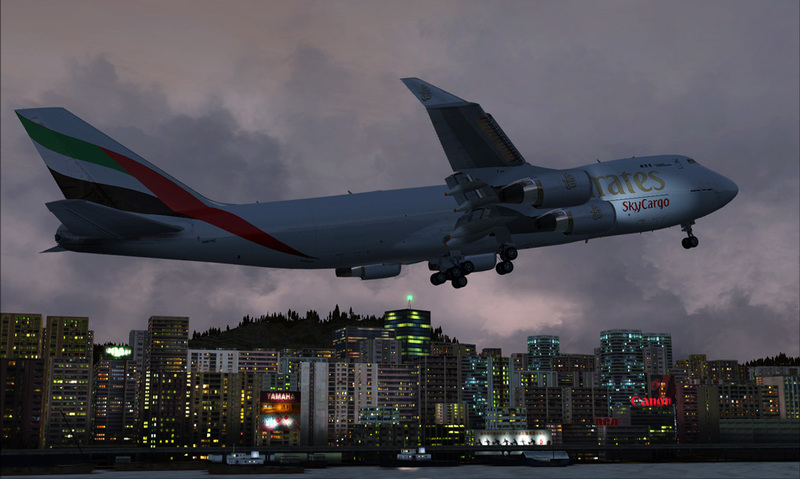 Approaching Kai Tak performs better than bigger default FSX airports. A must buy in my eyes. I have always been a fan of Flytampa products and again generally speaking this is far better than most of the scenery packages being produced for FSX. But compared to other Flytampa products i have to say that the daytime textures look washed out and not so sharp in clarity in FS9 as previous products. I guess its a compromise to carry over for FSX. Also all the buildings seem to be in textured shadow at the base. But! 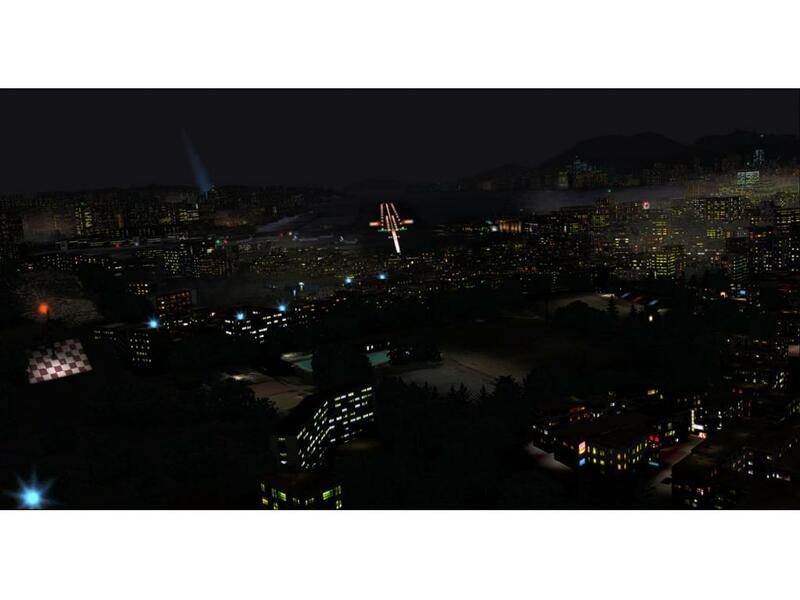 On the other hand this is exceptonal in both FS9 and FSX if you fancy night flying in a fantasticly created enviroment. Excellent product. Great to get FSX and FS9 which is a wonderful achievement for Fly Tampa. The scenery is very high detailed but you are able to change the level of detail and effects by running the installer again. Frame Frates are excellent in FSX (I have only used it there) once again like all fly tampa products. 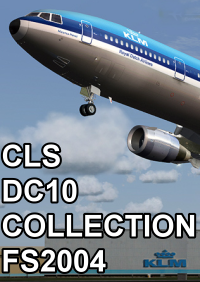 A scnery for FSX i have been waiting for, for a long time finally arrives. How shall I put this.. do not run to get this, fly to get this, in both FSX and FS9 this scenery is an amazing masterpiece and deserves all the accolades it can get, good onya FlyTampa for keeping the (in)famous Dragon alive!  , it looks and performs impeccably even on slower systems; even with less detailed settings. A great purchase on the whole and makes for many scenic and enjoyable flights in and out of Hong Kong!